Whether you are looking for artwork to spruce up your home, office, or event, I am excited to partner with you to make your vision a reality! 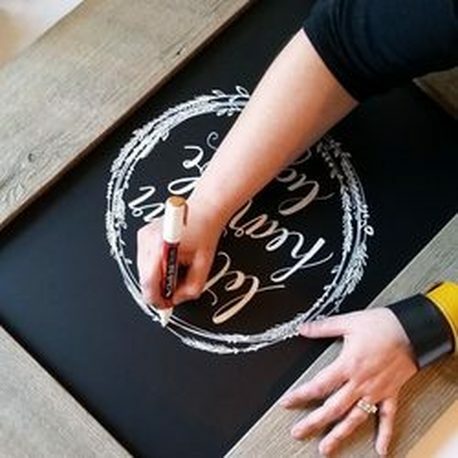 I'd be happy to provide my signature reclaimed wood framed chalkboard for your project or work on a chalkboard you provide. Please fill out the form below for more information so we can chat. I can't wait to bring you your own little piece of Something to Chalk About!